The 'josh' for patriotic films is 'high' in Bollywood. After the success of "Uri: The Surgical Strike", Hindi movie buffs can gear up to watch "Kesari", "Major", "RAW", "Batla House", "Panipat", "Saare Jahaan Se Accha", "Mission Mangal", "'83" and a biopic on Kargil war hero Vikram Batra, among others. 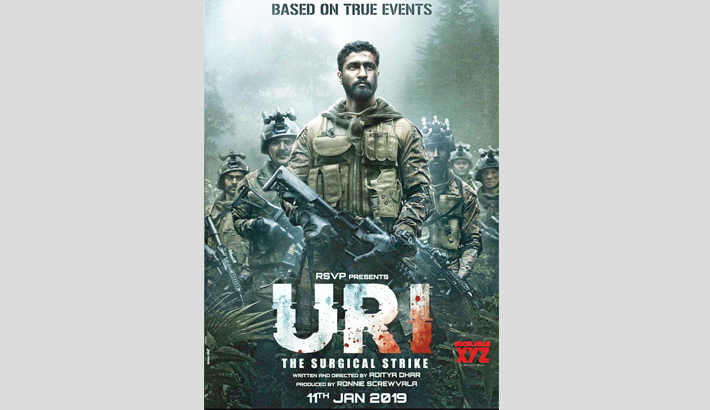 Amid the escalating tension between India and Pakistan, netizens turned to past and recent patriotic films to dig out memorable dialogues, the most recent being from "Uri: The Surgical Strike", based on the surgical strikes that India conducted on terror camps in Pakistan in 2016. The Indian Air Force's air strike on terror camps in Pakistan, which was in retaliation to the February 14 Pulwama terror attack, led to social media speculations that a "Surgical Strike 2" could be made. From wars to fighting social evils and telling heroic tales of sportsperson -- various shades of patriotism have been depicted on the big screen through a stream of films in recent times. The narrative shall continue through 2019 and beyond.